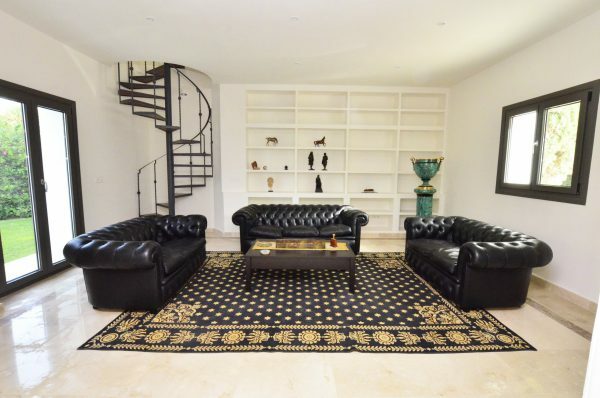 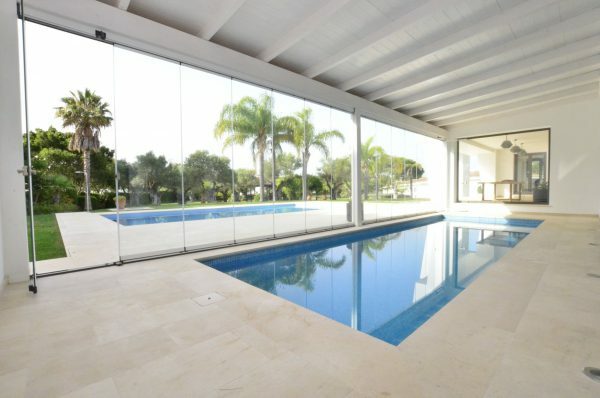 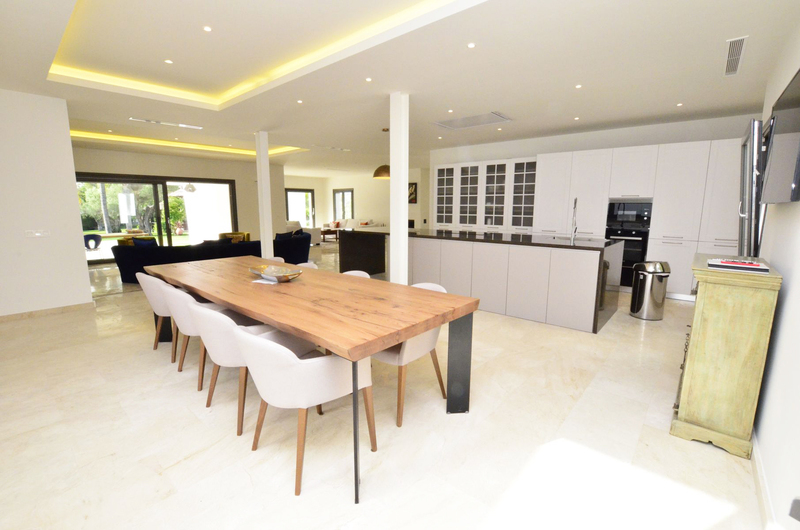 A spectacular 8 bedroom villa for sale in the prestigious area of Kings & Queens in Sotogrande Costa. 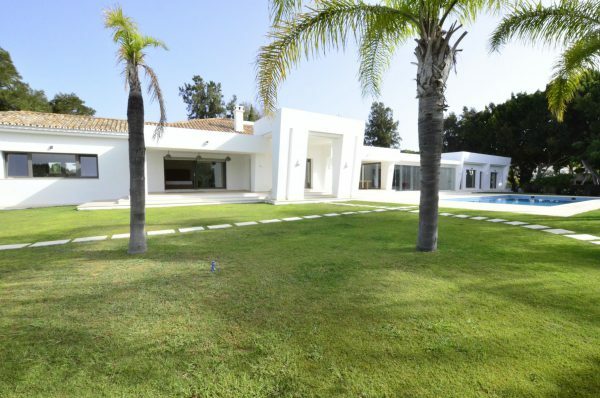 The property is located on a double plot with a luscious and mature garden. 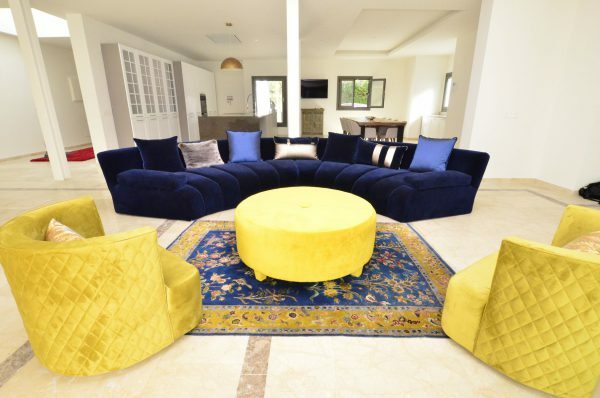 The property is built over two floors, with the ground floor comprising 5 bedrooms, an open plan kitchen, living room and dining room as well as a library and summer living room overlooking the indoor swimming pool and gardens. 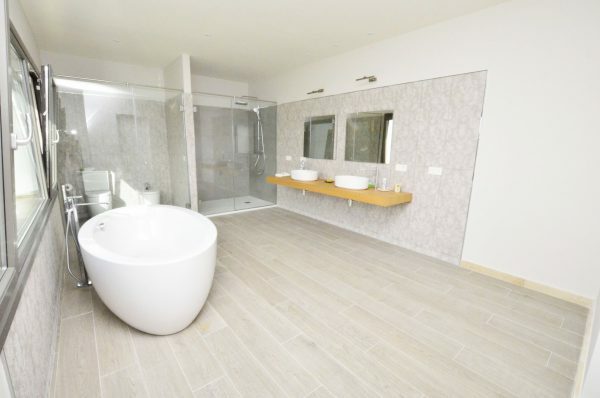 The second floor features two spacious rooms, sharing a bathroom. 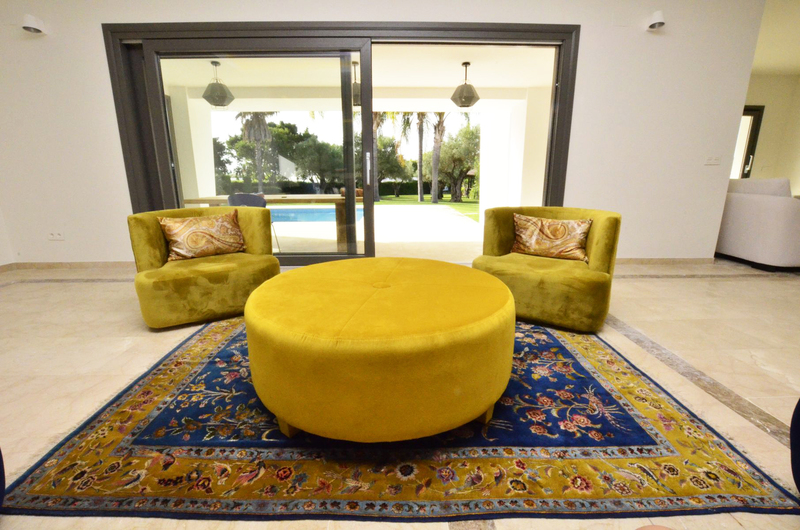 The villa has various garages and outdoor parking space for up to seven cars as well as two additional bedrooms, suitable for staff or guests.